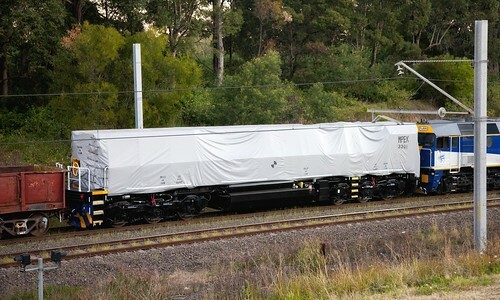 CFCL Australia have accepted the first delivery of their new “CM Class” locomotives from MotivePower Inc. 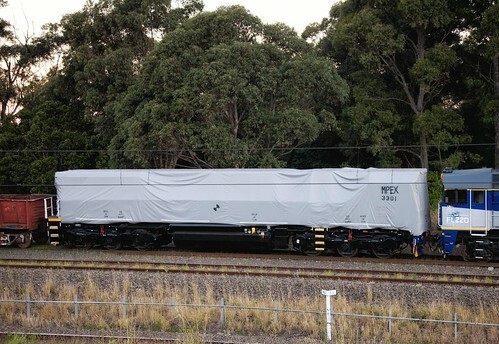 The first of the class, CM3301 “Red Handed” was delivered by FL220 to Goulburn on July 27th, 2013, having been unloaded at Port Kembla the day before. Running as train number 9271, FL220 hauled a covered CM3301 and wagon NOGF 5251. 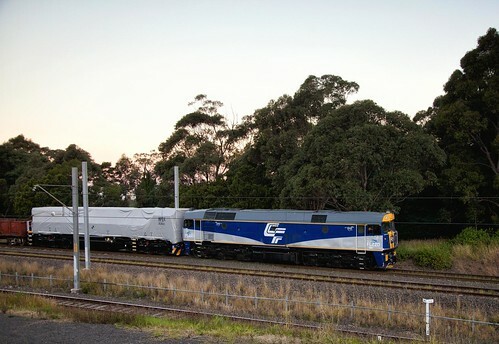 The train departed Port Kembla Inner Harbour at 1700, bound for Goulburn via Unanderra and Moss Vale. CM3301 is not the first of CFCLAs locomotives to carry the name “Red Handed”, with this name previously being carried by RL301. This was not the first interesting train to traverse that line today, with 3642 having hauled a tour train to Robertson earlier in the day. The newest, and one of the oldest locomotives in the state passing through the same town within a matter of hours? Couldn’t plan that better if you tried! Click on any image below to view a larger size (link opens in a new window). With thanks to Richard Whitford for his assistance.